Common conversations between my husband and I over the last few years revolve around two true crime investigations/court cases. The first is the murder of Hae Min Lee and the incarceration of Adnan Syed, which was profiled in season one of the podcast Serial and more recently an HBO docu-series. The second is the murder of Teresa Halbach and incarceration of Steven Avery and Brendan Dassey, the subject of the docu-series Making a Murderer. To me, both of these cases reflect the actions of a (at best) desperate and (at worst) corrupt justice system where putting someone in jail for a terrible crime takes precedence over discovering what truly happened. A variation on this came up in The Man from the Train. When faced with the possibility of truly random murders, police and other investigators reached for whatever fall guy they could find even when evidence didn’t fit. In the case of the Man from the Train, not only were men and women falsely accused and imprisoned, but they ended up dead at the hands of lynch mobs. We humans don’t like uncertainty. And we absolutely want closure. 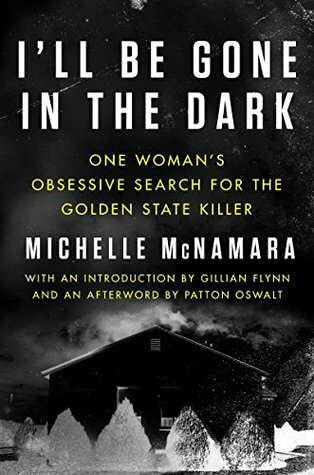 I’ll Be Gone in the Dark is about the Golden State Killer, but it’s also about Michelle McNamara and a bevy of investigators who tenaciously pursued the truth in spite of uncertainty. They didn’t want “a” guy for the rapes and murders that occurred for over a decade in California, they wanted “the” guy. McNamara writes honestly about her obsession with this cluster of crimes that took place in the 70s and early 80s. She had no personal connection to those specific crimes; she grew up in Oak Park, Illinois and the murder of a girl in her neighborhood was the spark of her interest in the hows and whys of these types of crimes. While McNamara’s narrative doesn’t shy away from details, it doesn’t revel in them either. 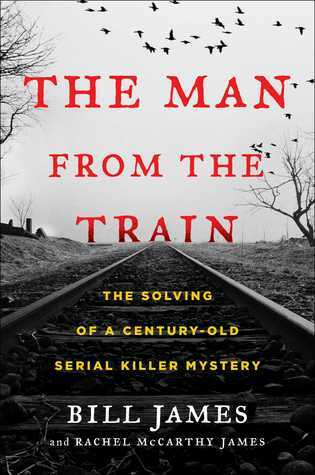 To contrast, The Man from the Train was very specific about the details of each murder and how they overlapped, but there the author is laying out the case that murders were the work of one man. In I’ll Be Gone in the Dark, we’re stepping into a investigation in progress. McNamara doesn’t need to supply each and every detail. Instead, she is freer to tell the story of the investigations; where they failed in the past and what hope there might be for catching a killer by combing over every piece of information. Michelle McNamara died suddenly before finishing this book. While writer Paul Haynes and journalist Billy Jensen organized her prodigious notes, the chapters that aren’t written by McNamara (they are clearly noted) provide information, but lack her deft touch as a writer. The third part of the book includes several methods that were being used to find the Golden State Killer, including the use of online genealogy tools to match DNA markers. Shortly after the book’s publication, Joseph James DeAngelo was arrested for the murders, tracked down using a similar technique. 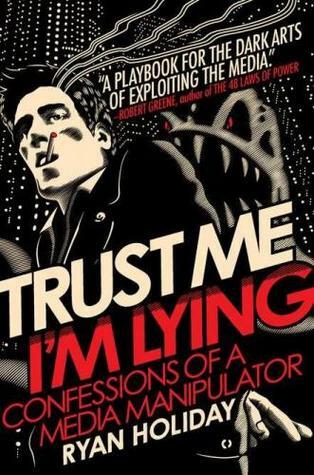 McNamara wrote this book fueled by uncertainty and never got closure. Some of the police who originally worked the case retired before seeing this breakthrough. I can’t imagine what it’s been like for the victims and their families. But it seems strange to me that I should find their patience and their resistance to finding “a” guy for the crimes to be downright heroic. DNF. I listened to maybe an hour and a half of Trust Me, I’m Lying. The first 60 minutes were interesting and a little sickening as Holiday describes how he (and others) create buzz, hype, and news stories out of virtually nothing. But then, the stories/explanations of how and why got repetitive. The audio book was recorded by Holiday. While the quality wasn’t bad, there was a lack of pauses at what would be section/chapter headings in a book; it all ran together. DNF too. 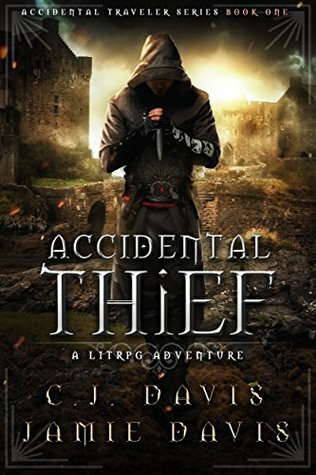 I wanted to check out the phenomenon of LitRPG, which if you are like me old and out of touch aren’t familiar is a narrative with heavy RPG conventions including things like character stats. First, maybe this works better in non-audio format. Listening to the main character check his stats over and over again (“Name: Hal Dix. Class: Rogue. Level: 2. Attributes. Brawn: 8. Wisdom: 8. Luck: 18+5. Speed: 10+1. Looks: 18. Health 16/16. Skills… “) was not scintillating. Second, the tropes that are used are especially and purposefully (?) not unique. The protagonist is a boring guy stuck in a office job (with nice wife and young child) who is sucked into a mysterious game where he framed for a murder and ends up fighting spiders in the sewer with a mysterious stranger who is obviously a girl. Apparently, the challenges will become increasingly more difficult. But I’d rather spend my time playing an RPG rather than reading/listening to one. Not a DNF! I read about half of this book and listened to about half of it. 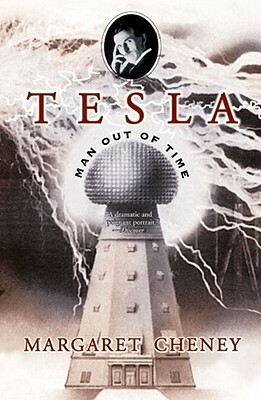 I had previously read W. Bernard Carlson’s Tesla: Inventor of the Electrical Age which emphasized where Tesla’s innovations fit within the technologies of the time. Cheney’s book takes a much more personal look at Tesla, without being overly sensational or speculative. There is still science, but also things like letter excerpts from friends and colleagues that give a more human aspect to Tesla. Between 1898 and 1912, families across the country were bludgeoned in their sleep with the blunt side of an axe. Jewelry and valuables were left in plain sight, bodies were piled together, faces covered with cloth. Some of these cases, like the infamous Villasca, Iowa, murders, received national attention. But few people believed the crimes were related. And fewer still would realize that all of these families lived within walking distance to a train station. So, one of the things I like doing, as research for my historical fiction, is reading old newspapers. In a 1915 issue of the Omaha Bee I came across a sensational story about an axe murder that had taken place in Omaha. I haven’t quite followed that story to its conclusion—they were still looking for the culprit months later—but I found it to be a compelling case, maybe something for later fiction. After all, axe murders are the things of Hollywood slasher movies, right? While researching another project, I was also looking at small towns in Iowa near railroad tracks. Which led me to the Villisca, IA axe murders in 1912. Oddly, I had never heard of Villisca. I wanted to know more. Among the shallow investigations of the murders was a full-length book about them: The Man from the Train. It turns out there were several spates of axe murders throughout the early 1900s. Villisca was particularly noticed: the whole family, plus a couple of neighbor girls who stayed over, were brutally murdered with the blunt side of an axe. The victims’ faces were covered. The house was found with all the shades drawn, mirrors covered, and locked up tight. Nothing was taken. The house was not far away from the railroad tracks. The things is, when Bill James started looking into this crime, he found that there were other instances of axe murders that occurred that had similar staging. There was a pattern. It was likely that the same man was responsible. The Man from the Train is a feat of research. At some point in the process, James hired his daughter to help wade through the sources. The string of murders reached back much further in time than expected and led to a possible suspect, who was never caught. That’s only half the story though. How did the Man from the Train get away with this for so long? And what happened in the communities in the wake of such murders? The answers to those questions are often disheartening. James made a very specific choice on how he presented information. He sort of started with a cluster of information and then works backward and forward from it. In general, I liked this decision. It does give the book a mystery/thriller feel. But I feel like things could have been cleaned up and an reiterated more efficiently. There are a lot of names, places, and dates to keep up with. Maps would have been a big help since we’re dealing with actions over time. James spends a lot of time trying to convince the readers of his theory. On one hand, a reason that the Man from the Train wasn’t caught was due to what James calls irrational skepticism. Police decided to focus on hastily found suspects instead of looking for patterns or even seeing patterns when presented with them. On the other hand, today’s reader lives in a post-profiling world. The notion that a killer might have a signature pattern is wildly accepted. James didn’t have to convince me. The pattern is there; I’ll buy that acre of land. Continuing with the hard sell was tedious. Lastly, the tone was occasionally uneven. There were some fourth-wall-breaking comments that were unnecessary. Man, history. 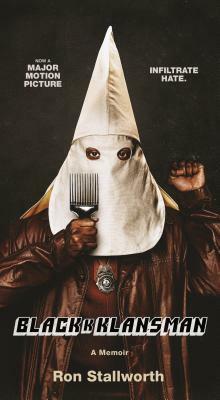 The more I learn about history, the more I see how much things haven’t changed. There have always been serial killers. There have always been the want for tidy closed cases, especially when murder is involved. The Man from the Train wasn’t an easy read for a few reasons, but the detective work behind it is admirable and the story really is an interesting one. There was one mistake within the book that I caught: David Abbott (the whole reason I was reading a 1915 newspaper in the first place) wasn’t from Oklahoma, he was from Omaha. I’m going to assume that since Abbott was only mentioned in passing, it was a mistake that isn’t indicative of others unseen. 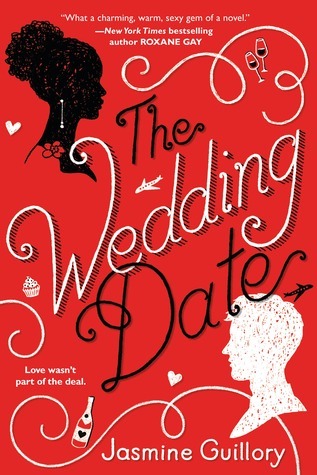 This book was provided to me by Hanover Square Press via NetGalley for review consideration. I’m a horror movie and special effects buff. The story of a woman working in early Hollywood as a Disney animator and creature-feature designer sounded good to me. Full disclosure: I did not finish reading this book. Usually, I don’t post reviews of books I haven’t finished, but I want to make an exception in this case. 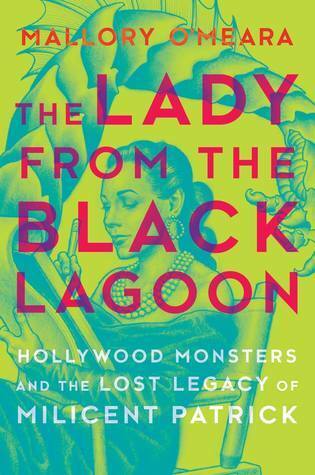 I read over a third of The Lady from the Black Lagoon while slowly realizing that this book is not to my taste. That doesn’t mean that it’s necessarily a bad book. There is an adage that biographies and memoirs should have a compelling story at their heart. The problem with this quip is that “compelling” is subjective. There are plenty of perfectly good memoirs in existence that don’t interest me at all; I do not find them compelling for whatever reason. There are two narratives at play in The Lady… . One is life of Milicent Patrick, animator and creature designer. 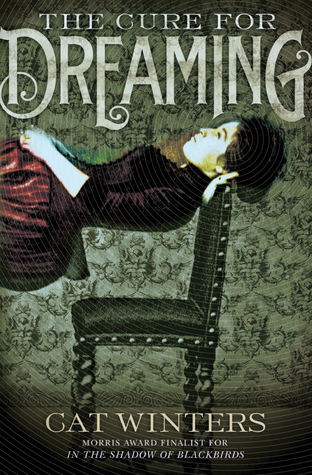 The other narrative is about the author Mallory O’Meara’s career as a woman in the modern horror movie industry and, especially, how she researched this book. Maybe it’s because I’ve done my own research work, but O’Meara’s portion of the book, bogged down Patrick’s story for me. O’Meara is also very close to her subject and her attitudes continually bleed into history. That is something that is very attractive to some nonfiction readers. For me, I guess I’m a more stodgy in my attitudes. I feel like if you present history well enough, I can make my own comparisons to current events. I’ve also read a few biographies this year that weren’t afraid of being slim. The Lady… ended up feeling padded out instead of being a quick 200 page biography. Again, this might be more due to my particular taste in books lately. I think Milicent Patrick is an interesting subject, a woman who lived an extraordinary life. I think Mallory O’Meara’s telling can add scope and context for some readers, just not me. This book was provided to me by Repeater Books via NetGalley for review consideration. From the ultimate David Bowie expert comes this exploration of the final four decades of the popstar’s musical career, covering every song he wrote, performed or produced from 1976 to 2016. Like many people of a certain age, I was ensorceled by David Bowie as the Goblin King in Labyrinth (1987). My parents listened to the local rock/classic rock radio station, so I was familiar with Bowie’s hits, songs like “Space Oddity,” “Ziggy Stardust,” and “Changes.” But after Labyrinth, I became a fan. Never Let Me Down (1987) was one of the first albums I bought on my own. I lucked out; starting in the 90s Rykodisc started releasing his back catalog. Ashes to Ashes is an incredibly comprehensive look at David Bowie’s works from 1976 (the album Low, one of my favorites) to the end of his career (2016’s Blackstar, an album I still haven’t listened to very much). Every song that Bowie wrote, sang, covered, co-wrote, co-produced, or hummed a few bars on a television show is given an entry. I might be overstating, but only a little. By going through each of the songs in the order of their creation (or performance), O’Leary provides a very through biography of Bowie. 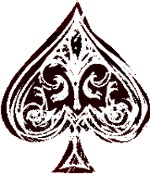 Each song has an entry that contains information on the song’s writing, production, and the musicians involved in its recording. There are also stories attached and, in the case of the first songs recorded for a new album, information about the album. The 700 page work (the second of two volumes) contains an amazing number of crunchy tidbits. I don’t know much about music and music theory, so some discussions about the musical makeup of songs went over my head. O’Leary is also not an entirely objective reporter. He definitely has opinions about certain songs and certain albums. And occasionally these views differed from my own not-objective opinions. 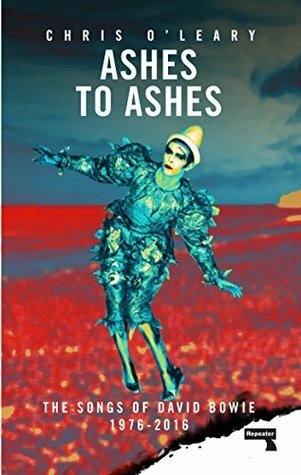 I read Ashes to Ashes over a series of months, listening to each album, each song as I read about it. I learned a great deal about David Bowie’s solo work and many collaborations and I gained new appreciation for albums both familiar and relatively new to me. As a fan, I consider Ashes to Ashes worth the time I spent on it. Billed as the “Man of Many Mysteries,” Laurant spent almost 50 seasons on tour. His stage-filling magic show brought wonder and delight to millions of spectators across North America. The bulk of Laurant’s career was spent not in major metropolitan centers, or hustling, bustling cities like New York. Unlike his contemporaries—Houdini among them—Laurant, for the most part, confined his routes to rural America. It was there that he made his mark. Eugene Laurant was, arguably, king of the small town showmen. Drawing on Laurant’s own unpublished writings, scrapbooks, and new research, this book paints a revealing and complete portrait of this early American magician. From his earliest dime-museum days, to Wild West adventure, vaudeville shows and much more, Laurant: Man of Many Mysteries tells the tale. When I ordered Laurant as a late Christmas present / “let me get this guacamole seasoning shipped for free” add-on item, I didn’t entirely realize how relevant it would be to the book I’m currently writing. I was somewhat aware of Eugene Laurant as one of the many magicians of the early 20th century, but I didn’t know that his career was mainly as a performer in the Lyceum and Chautauqua circuits. Not only is this book a well-detailed biography of Laurant, but it has lots of crunchy details about the workings of the Chautauqua. My one beef is that the book is rather slim for the price, but it is a very nice hardback, glossy and full of pictures. Perfect for my second read of the year.